It's always so nice to hear other artists like your work! I'm truly honored. A-M makes miniature foods out of polymer clay. Something I have yet to work with. Her work is impeccable. I hope you'll drop in for a visit. Thank you A-M! 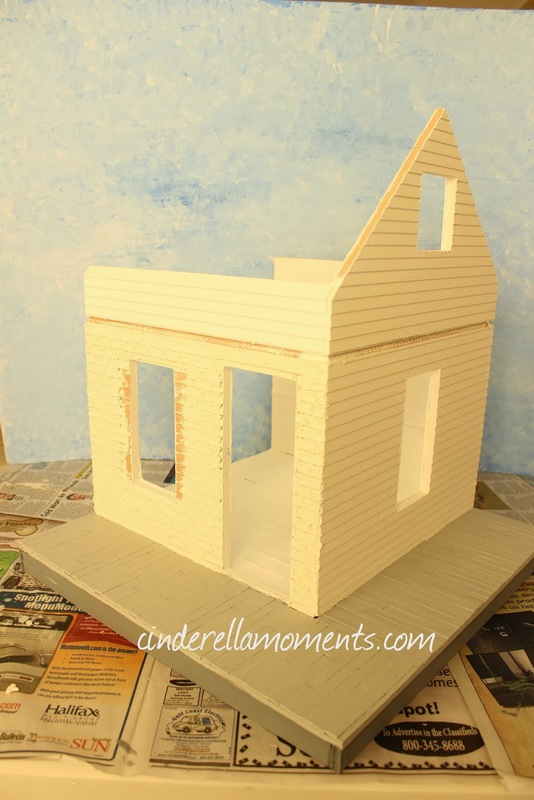 I'm working on a new dollhouse. This one is for Debbie. It's another shabby chic farmhouse with a wrap around porch. stone on the 3rd wall. Now the stones are all painted. The brick wall is cream for now. I really love it like this. But I'm not sure if I will leave it or paint it?? I've made furniture and accessories for the inside. There will be an upstairs where the bed will go. I loved the last building with a wrap around porch and these building looks like it will be another amazing creation. The stonework looks great. I also love the beautiful furniture you have made for this one. As always a great pleasure to see your creations. Also this look lovely. Como siempre preciosa y con esa pared de piedra queda genial. Me gusta mucho. 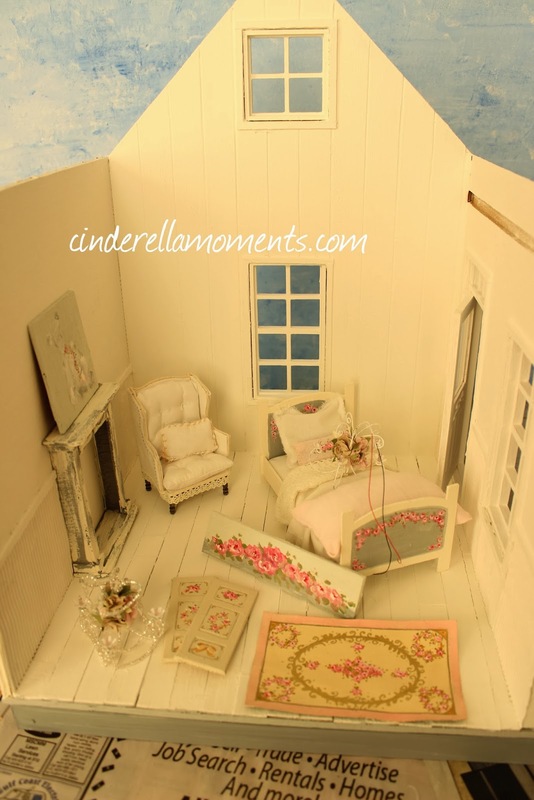 Caroline, your work certainly demonstrates that the creation of miniature houses and furniture is both an art and craft, and it takes a great deal of skill and talent to do both. I love your houses, and your furniture. Your latest wing chair is looking very Anthropologie or Restoration Hardware. Wow, fabulous!! 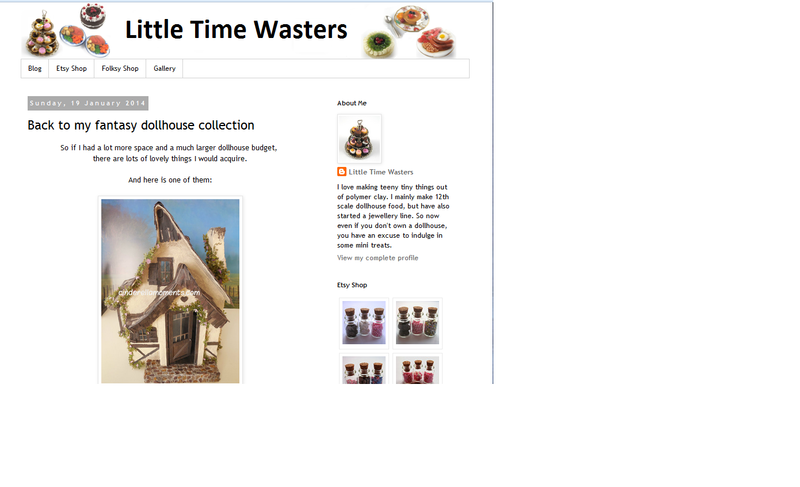 Beautiful Doll Houses for Debbies ... I see the You Tube link. Forgive me if I have not been able to go so far by Your Magical Space, but the more Free Time ... more laziness. La estructura de la casa es preciosa y menudo trabajo bonito hacer diferentes texturas en las paredes!!! Seguiré su progreso!! Such a lovely cottage farmhouse - I love the cream brick wall too... and the furniture is wonderful. Will certainly check out the youtube channel - congrats! - and thanks for the link to A-M and her food too. Amazing as always, Caroline. Just so pretty! You always build the little houses I dream of living in! Love love love that video and the music is perfect! they can't get any better...........they do! Hi Caroline, what a sweet little video, I love it !!!! het begint er heel mooi uit te zien. You're always full of projects. Your video is beautiful, it was a pleasure to watch it. I like your new house, the stone wall is great, I'm looking forward to seeing more. You totally popped up in my Youtube feed! Newest subscriber on there. 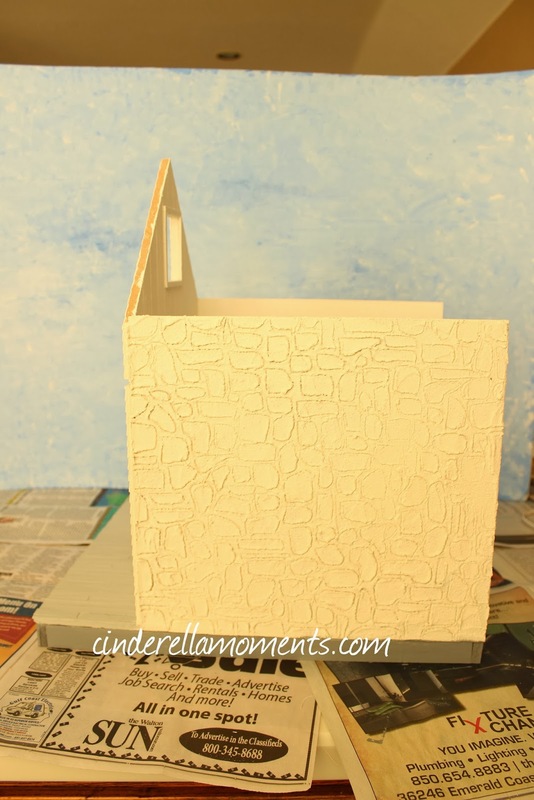 :) Love how you are doing so many textures on all the walls. 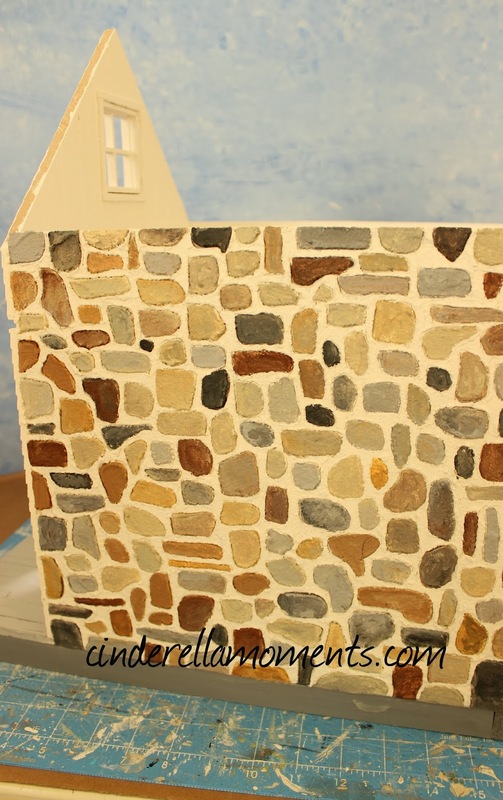 If you paint the brick, maybe do it all in one color so as to not distract from the gorgeous painted stones? Whatever you decide, I am sure it will be amazing. You have such a wealth of creativity that you incorporate into all of your cottages, Caroline. The little beds are now becoming one of my favorite things about your work, as you decorate the frames and then dress them so beautifully. What a visual treat each one is! For if, We love to travel. We travel all over Europe and, of course, Spain. Thanks for your wonderful and loving Comment! I love to meet you and visit your beautiful space, full of beauty and art ... Feeling. Hugs and Kisses, Cinderella ... continue visiting us. Fantástico trabajo....todos tus trabajos me encantan!!! 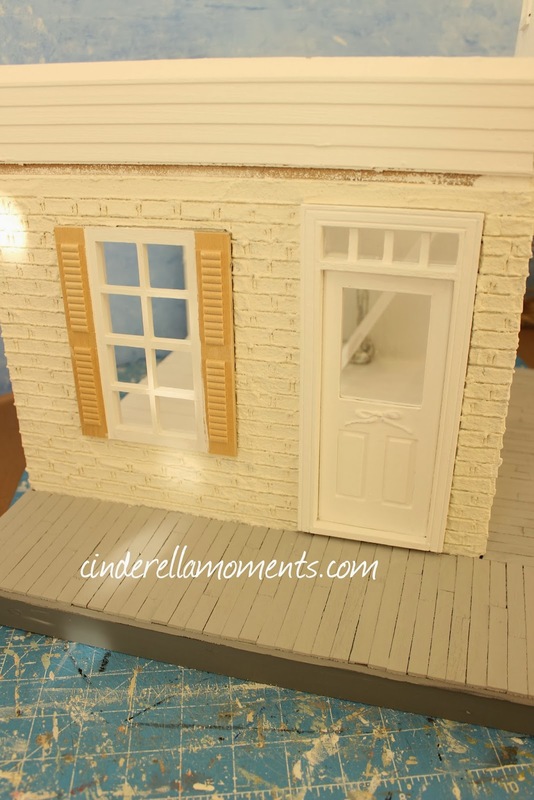 Jen's Pink Cottage is Complete!